During the holiday season, ActioNet employees partnered with the Ronald McDonald House of Fairfax, Virginia, to provide gifts for children receiving treatment at Fairfax Hospital. 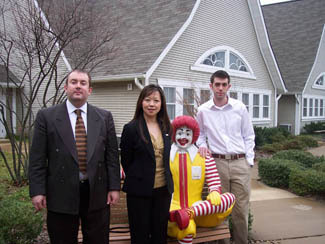 Ashley W. Chen, President & CEO of ActioNet, stands with Executive Vice President Jeff Abish, Community Outreach Coordinator Daniel Potocki, and a very grateful Ronald McDonald. 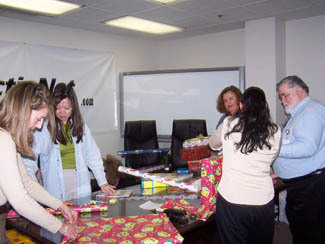 Volunteers attended the first holiday gift-wrapping party at ActioNet Headquarters. 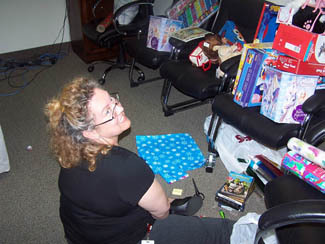 Ashley, along with other ActioNet employees, wrap gifts in the conference room. 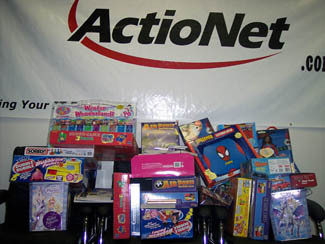 Just some of the toys donated by ActioNet employees. In addition to toys, ActioNet raised money to provide the House with a digital camera and printer, monthly fruit delivery, and gift cards to local businesses.